Signs: Bot restarts during an enhance, plugins lack item info. This affects ALL accounts, ALL similar plugins and ALL farms. Signs: Affects only SOME accounts or SOME farms. 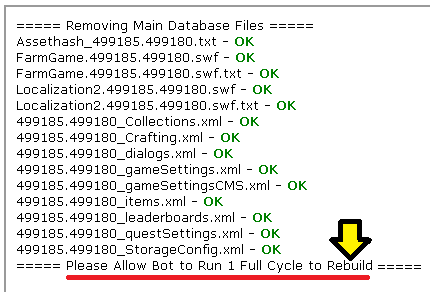 ➨Reopen fBX, do NOT start a cycle. ➨ rebuilding the image store when needed. 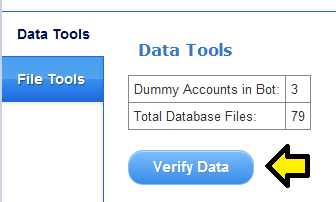 it gives information on how many id-s are there in bot, and how many databases in total are there. we can ‘verify data’ and are notified once data verification is completed. 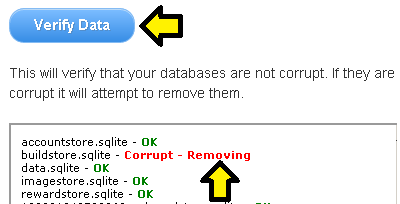 (if) any corrupt database which gets detected in the verification, will automatically be removed. Is your bot missing real names,farms not in correct order? try rebuilding the main database. is used when images from bot are gone and image store needs to be rebuilt. NOTE: all these errors are rare, and not supposed to happen under normal circumstances, so only use the cleaning process if anything is really wrong and needs rebuild (generally, prompted). What causes Database Corruption ? The problem is very rarely on Z* side (for example wrong coding in an enhance), sometimes on a plugin’s side (using outdated plugins which save data wrongly), but mostly it is related to either weak net/pc – for example net drop during enhance – or using fBX wrongly. What can I do to prevent database corruption ? 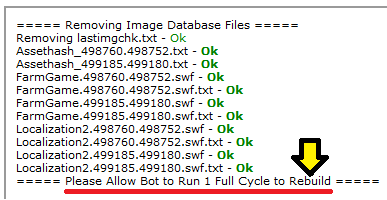 – Never x out bot while it is running. Stop it before and wait until it is fully stopped before closing the program. – Don’t have too many plugins active in cycle, since some might even conflict with each other, only activate in fv settings what you really need. – Also do not have too many plugin pages open at once or like several tabs of fv cleaner, you will get lots of errors if you have. – If your pc is very old or your net is weak there is no remedy but to get better hardware/net, at some point. The more items Z* adds the harder it gets to play fv on old systems, be it in browser or with bot.